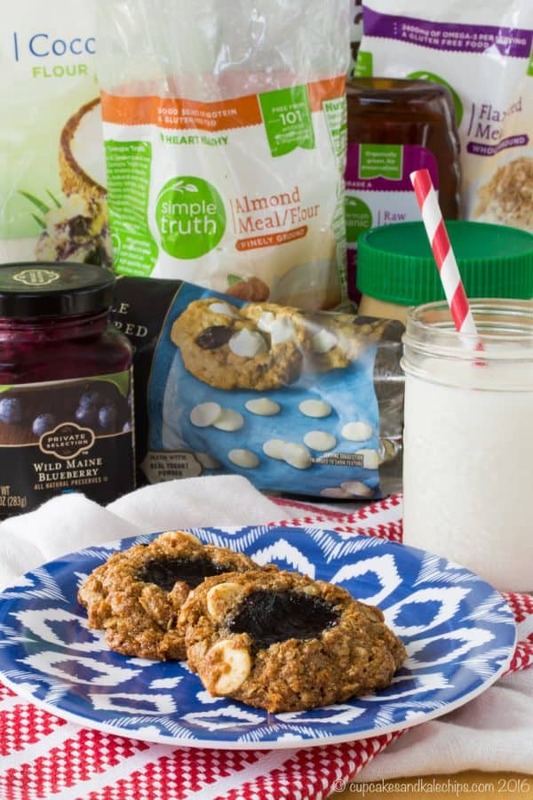 Sstart you day with this healthy cookie recipe that can even be made gluten free and dairy free. Who wouldn’t want cookies for breakfast? But you can feel good knowing these are filled with healthy ingredients, plus they can be made gluten free and dairy free. 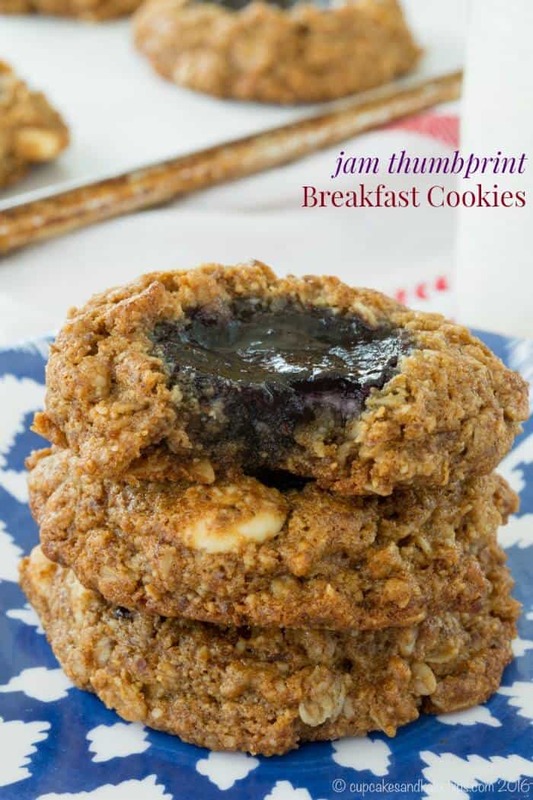 Start your day with Jam Thumbprint Breakfast Cookies. Disclaimer: Kroger sponsored and provided groceries for the Sip, Dine, and Shine Retreat. 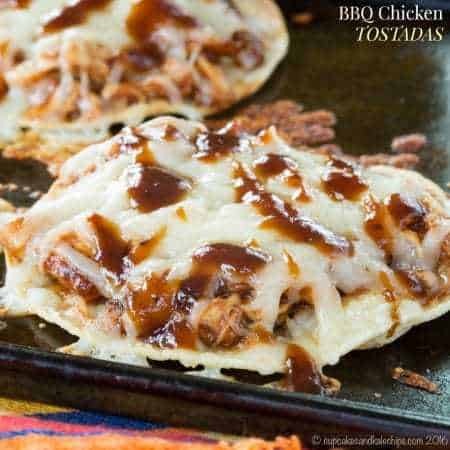 This recipe was created in partnership with Kroger Family Stores using free products provided by Kroger. Do normal people do this? Four people who have never met before in real life (other than maybe a couple of them were at a conference together once for a couple days) rent out an inn for three days so they can get together to make food, eat food, take photos of food, post pictures on social media about the aforementioned food, talk primarily about food, and maybe squeeze in a glass of wine or a cocktail or two in between. Well then I guess food bloggers aren’t normal people, but that’s what my food blogger friends do, and I wouldn’t have it any other way. As I told you in my post about Charles Town, West Virginia, I got together with some lovely ladies last month for the Sip, Dine, and Shine Retreat. I already told you about all of the incredible things we ate, but we did actually do some other things besides eat and drink and take pictures of what we ate and post photos online of what we ate (did I already mention we did those things?). I know this is still about food, but it sets up how we enjoyed the rest of the evening. You see, Kroger provided us with an incredible array of groceries, and on the evening of our arrival we made up charcuterie platters overflowing with cheese and meats and dips and crackers and so much more. We poured some wine, sat on the back deck, and chatted as we watched the gorgeous sunset. And then we dumped all of the random napkins and plates and sprinkles and straws and other props that we don’t use in our blog photos any more and proceeded to swap them. You know, like normal people. Normal people who have a cabinet filled with one red striped napkin and one blue plate and one vintage casserole dish and one striped napkin and one polka dot bowl and one milkshake glass and one white teacup and one flowered napkin and forty-six jars of sprinkles and three hundred and seventy six multicolored striped straws and a thousand feet of colored twine and let’s not forget a drawer filled with a bunch of spoons and forks, none of which match any of the others. Oh and that’s only the beginning. 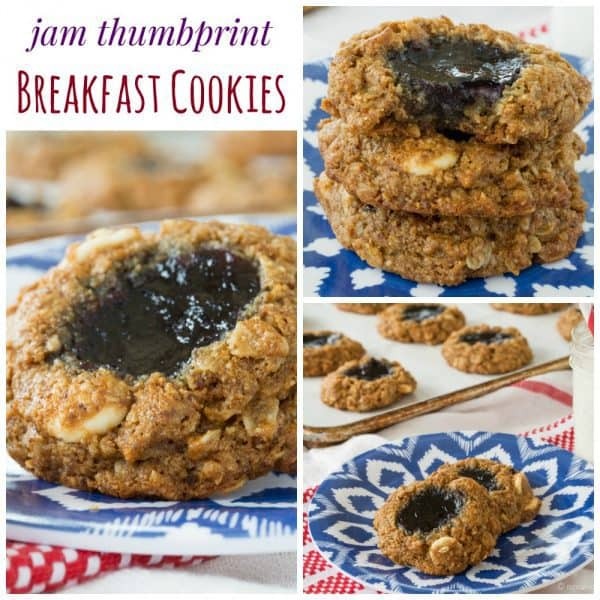 And Jam Thumbprint Breakfast Cookies are just that kind of recipe. I suppose I could have been inspired by the apple orchard near the farmhouse where we stayed, or the amazing peanut butter stuffed French toast we ate, or even those aforementioned charcuterie boards, but I was truly inspired by the collection of products I received from Kroger, including flax seed meal, cashew butter, almond meal, and a fabulous jar of blueberry preserves. I knew I could transform these ingredients into a yummy little snack perfect for my kiddos on busy mornings or to pack in the Bug’s Lunchbox (don’t send these to a school with a no-nut policy!). 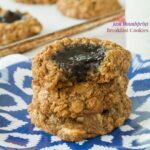 I found this recipe for whole grain breakfast cookies, made a few swaps to make them gluten free, and added a lovely little dollop of preserves in the middle for a nod to the classic thumbprint cookie. 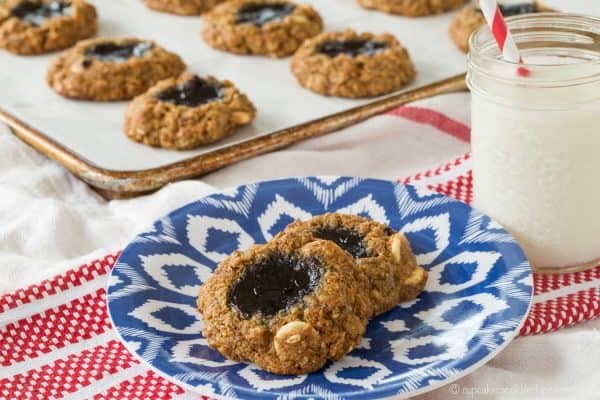 Only these thumbprints are packed with protein, fiber, omega 3’s, whole grains, and more so that you can be a rock star mom or dad by giving your kids cookies before school, and still know that they will be satisfied till lunch. These aren’t going to be your usual crispy cookie, though. 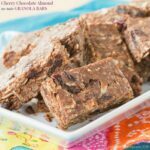 They are soft and chewy, like some of the packaged breakfast bars. And let me tell you, my kids are loving them! And remember that “prop swap” I mentioned? Don’t you love my new plate and napkin and red and white striped straws?! 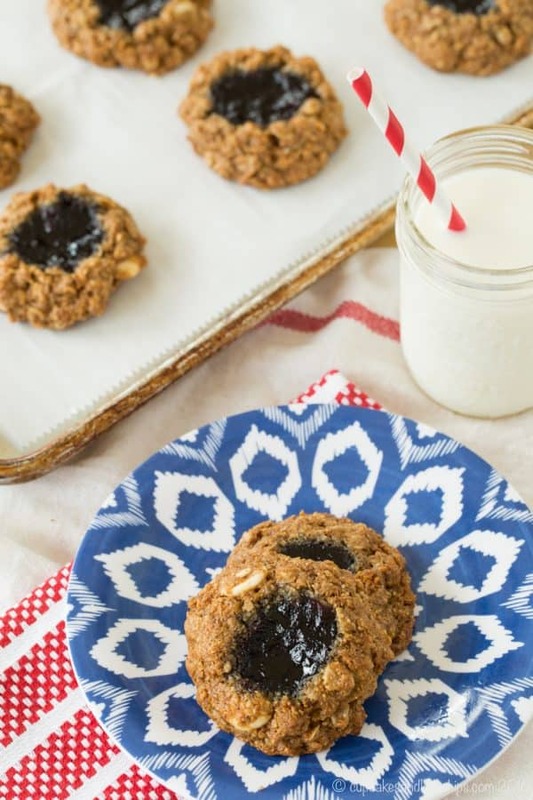 I think they’re the perfect complement for these Jam Thumbprint Breakfast Cookies. Preheat your oven to 375°F and line a baking sheet with parchment paper. In a large bowl, stir together the oats, almond meal, flax seed meal, baking soda, salt, and cinnamon. In a medium bowl, stir together the nut butter, coconut oil, sugar, egg, and vanilla extract until smooth. 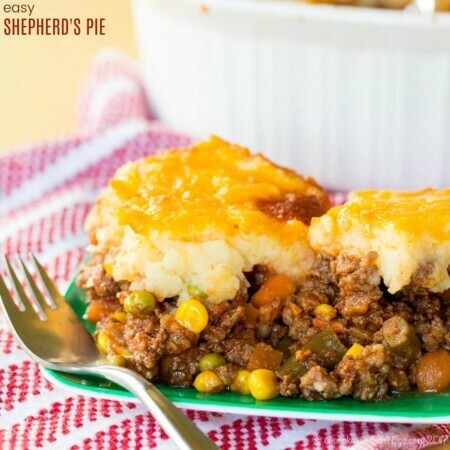 Pour the wet mixture over the dry ingredients and stir util all of the ingredients are moistened to form a thick dough. Scoop two tablespoons of dough onto the baking sheet, and repeat with the remaining dough, spacing about two inches apart. I used a small cookie scoop that holds about one tablespoon and placed one scoop on top of another to form a single mound. 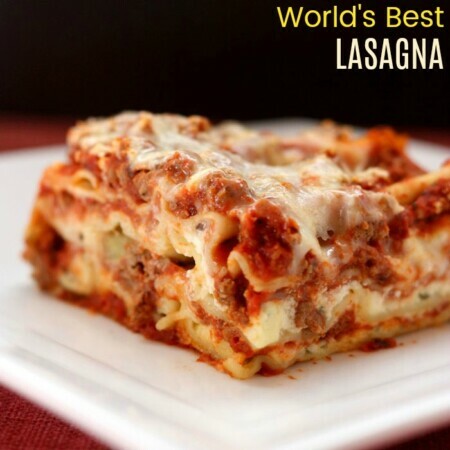 Bake for 8-9 minutes. Remove the baking sheet from the oven and using the back of a wooden spoon or your finger, make an indentation in each cookie. Fill each indentation with a scant one teaspoon of jam. Return the baking sheet to the oven and bake for another 4-6 minutes, or until cookies are set and golden brown, but still soft. Let cool on the pan for about ten minutes before carefully removing to a wire rack to cool completely. 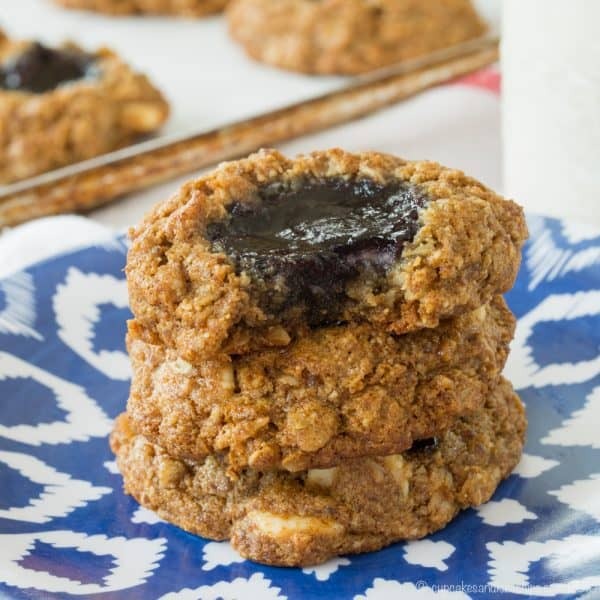 Cookies will be soft, like the texture of a soft and chewy breakfast bar. 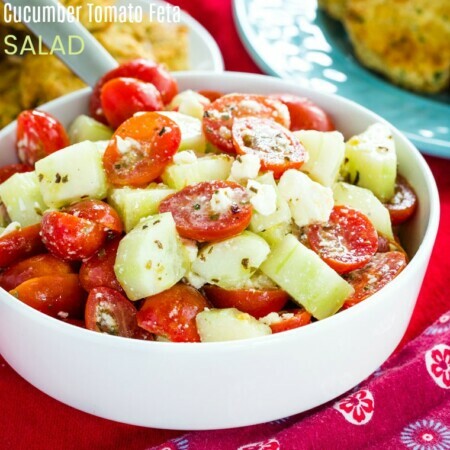 Store in an airtight container for several days, or in the fridge or freezer to keep longer. 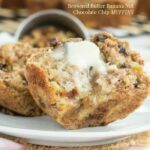 Adapted from Whole Grain Breakfast Cookies on AllRecipes. Yields 20 cookies. 2 cookies per serving. 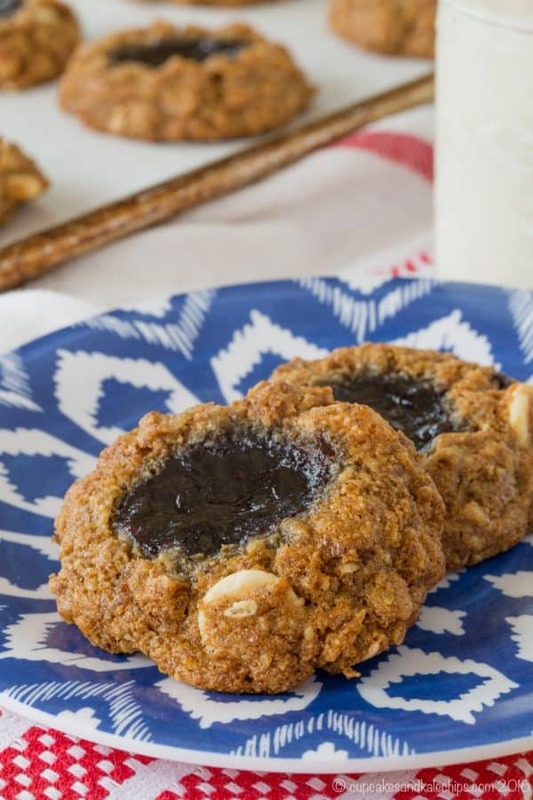 Enjoy this Jam Thumbprint Breakfast Cookies recipe! And our prop swap – what fun! We bloggers sure do lead a boring, normal life. Haha!